One of the last of its kind in America, Holland Bowl Mill makes solid hardwood bowls and various wooden products of the highest quality. Each piece begins with beech, maple, cherry, walnut, or red oak logs harvested from sustainable forests throughout Michigan and the Midwest. It is lovingly hand carved, sanded, and finished by skilled artisans like they were more than one hundred years ago. The mill sells its products at various retailers nationwide, online, and at its James Street location. 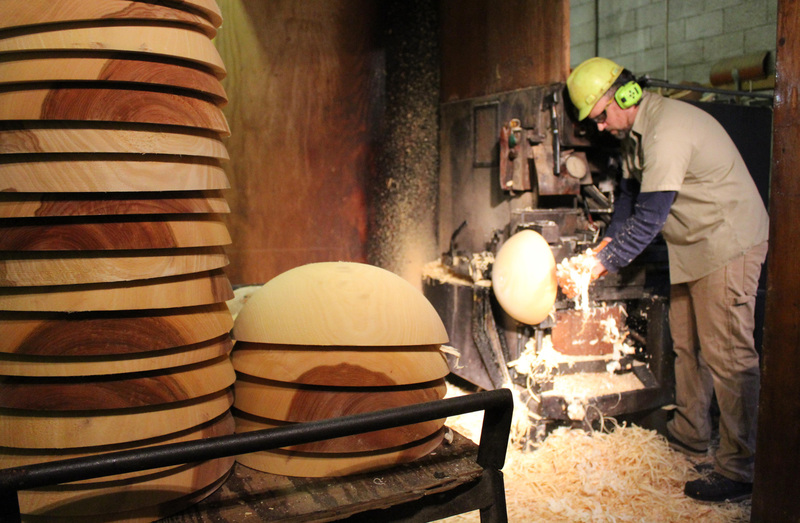 In the showroom you can shop for bowls and even see the factory where saws are buzzing, sawdust is flying, and the aroma of fresh-cut wood perfumes the air. If you’re looking for an authentic Michigan-made gift, you’ll find it here.